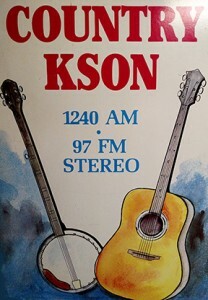 KSON’s Bluegrass Special went on the air for the first time on March 7, 1976 from 6-8 PM. The first few programs were aired on KSON-FM 97.3 which at that time was called “Country 97” and honestly had very few listeners. 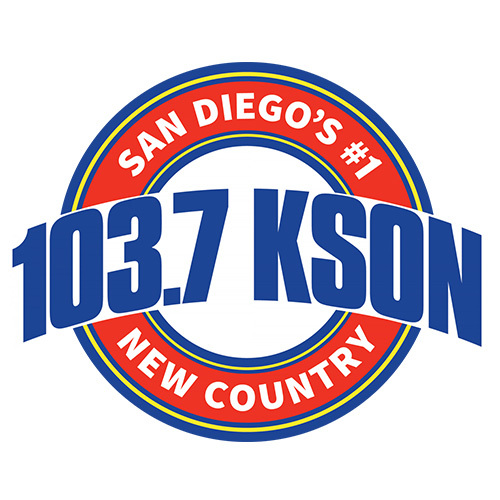 Most country music fans listened to KSON-AM 1240. AM radio was still king 39 years ago. 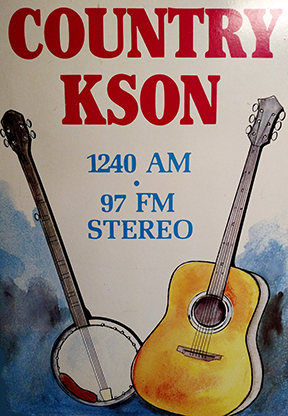 But after a few months, station owner Dan McKinnon decided the Bluegrass Special deserved a bigger listening audience, so the show was moved to KSON-AM from 4 to 7 PM. At that time, the KSON studios were located in College Grove Center, one of San Diego’s original shopping malls—and the control room was visible to mall shoppers behind a big glass window at the bottom of the mall elevator. Back in those days, you did your radio program not only for listeners on the radio but for a live audience of spectators. I must say I was happy when my show moved to later in the day, 9 PM to midnight, after the stores were closed for the day. So Sunday nights at 10PM it has been ever since. For the last 25 years, it has followed three hours of country classics (oldies), first hosted by Bill Mackey, then Doc Holliday, now Rick Jackson, who is also our station’s GM and one of the nicest guys in the world. It’s a testament to all the wonderful people I’ve had a chance to work with at KSON that I’m still there after 39 years. I’ve been very blessed to be accepted as part of the KSON family even though bluegrass music is generally not accepted by country radio. Of course KSON isn’t your typical country music station. It’s San Diego’s country music station and that makes all the difference in the world. So this coming Sunday night (March 8) is my 2019th radio show, the Bluegrass Special’s 39th anniversary. I still love doing it each week and I’m thankful that I now benefit from technology that allows me to pre-record the show a day or two earlier and listen to it myself on Sunday nights. Of course I still enjoy doing the show live on Sunday nights when I can do it that way. I also love having bands come into the studio and play live on the air, mistakes and all. In my opinion, that’s good radio and I’m so thankful to KSON for letting me do it here in San Diego for so long. I’m also very grateful to the bluegrass music fans who listen faithfully every week. That’s really why I’m still on the air. So here we go, pushing on to our 40th anniversary celebration next year! Same time, same station! This entry was posted in Bluegrass, KSON's Bluegrass Special and tagged Bluegrass, kson, radio, Rick Jackson, San Diego. Bookmark the permalink. 2 Responses to 39 Years on KSON! Wayne, is the station on iHeart Radio, or is it podcast? This is James Ward from YS days. No, we’re not on iHeart Radio. Clear Channel rebranded itself as iHeart Radio and they are our competition, actually. You can listen to my show for a month by going to our radio stations website: http://kson.com/bluegrass. Great to hear from you, James! I ran across a bunch of James Ward cassette tapes the other day and was wishing I had something to play them on … Your setting of Rock of Ages still touches me deeply. And I taught the middle school kids at our church how to sing Holy Books. Timeless! Hope you are well my friend.